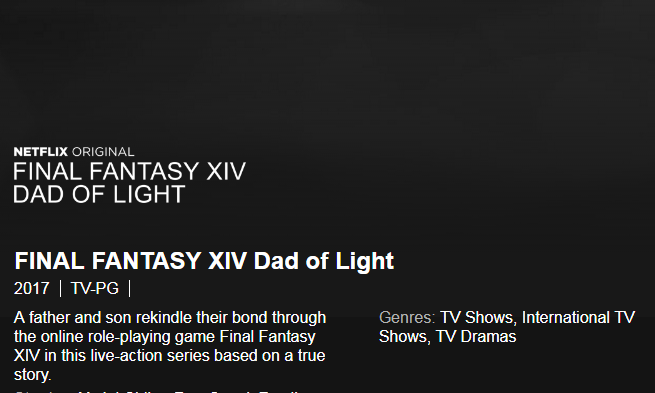 Last March, Square-Enix announced a strange Netflix series named Daddy of Light but now renamed Dad of Light. It’s based on a true story about a son and a father who develop a bond while playing Final Fantasy XIV together. The original blogger wrote the story based on his real-life experiences. The blog chronicles a father who is over 60 years old and his son as they play the game together. The plot will follow both men as the game brings them closer while each of them are also holding onto a secret. 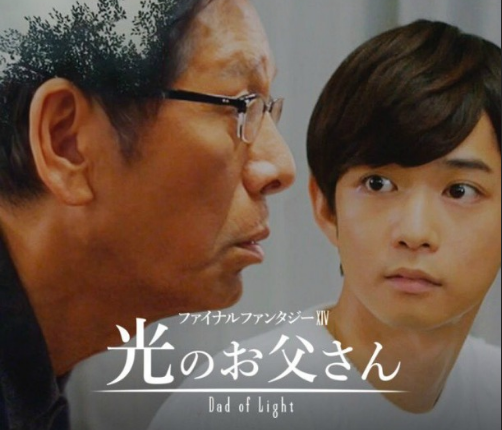 Dad of Light premieres worldwide on September 1 in twenty-one different languages. There’s more The Wizard than The Spirits Within, Square-Enix is quite proud of this story of the parent and child rekindling their bond over Final Fantasy XIV. There have been other dramas, like the 2007 drama Reign Over Me, that use video games as a backdrop to tell a human story, so hopefully Dad of Light veers more in that direction.